Hare Translation Journey: FAQ: Why Not Just Teach the People English? FAQ: Why Not Just Teach the People English? 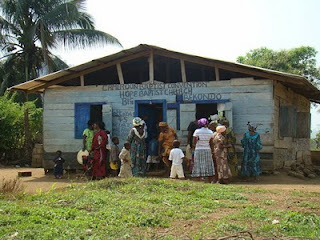 When we visited Cameroon a number of years ago, we learned that missionaries arrived decades ago and evangelized much of Cameroon. However, they only translated the Bible into three of the 270+ languages with the hopes that the remainder of the languages would learn these three languages. In reality they did not. Thus the people groups that have the Bible have healthier churches whereas the majority of the people groups that did not receive the Bible in their language have fallen away from the Gospel. It may sound easy on paper, but it takes a lot of work and many years to learn a new language and people simply cannot or will not do it. Revelation 5:9 says of Christ, “By your blood you ransomed people for God from every tribe and language and people and nation.” People from every tribe, every language will worship Christ in the end. We do not want to go to a people group and give them the impression that Christ is only for the English speakers and that they must learn English if they want to know him. Instead we want to go in as servants of their culture and minister to them by giving them the Word of God in their own language, showing them that Christ died for the whole world. Many people point to modernization and say that the world is moving into cities and thus will soon be speaking the same language (or at least fewer languages). However, it is the Lord who confuses language. He decided thousands upon thousands of years ago to confuse the languages at Babel and still they remain confused today. Therefore, since the Lord is keeping the languages confused, we need to learn them to give them the Gospel. 4. It Would be More Work. Many of the places without the Scriptures are so remote that there are few government schools available. Therefore, there is not a system in place to teach the masses English or French so we would need to go village to village teaching people one of these two langauges. Some of the people groups that are still without Scripture in Cameroon are up to 100,000 people. Therefore, we would need to teach that many people English or French. That is simply more work than the two of us learning a new language.